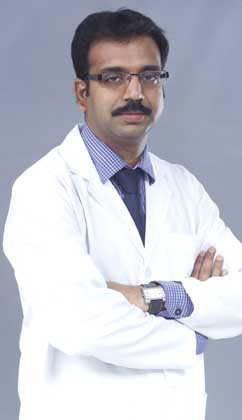 After completing MBBS, Dr Nagendra Nath obtained his MS (General Surgery) from Kurnool medical College, India in 2004. In 2010, he completed DNB in Surgical Gastroenterology from Global Hospitals, Hyderabad, India. Beside this, he has completed his fellowship in Minimal Access Surgery from Meenakshi Mission Hospital, Madurai, India and he also has several research and publications to his credit. He has more than 10 years of experience in the field of Minimally Invasive surgery and associated as Consultant in Kamineni Hospitals, Hyderabad, India. He is experienced in performing emergency operations like Peritonitis, Complicated hernias, bowel ischemia and intestinal obstruction. He is also expert in performing major Hepatobiliary operations like Whipple’s procedure, Frey’s procedure, pancreatic necrosectomy, complex biliary strictures. Dr Nagendranath can speak English, Hindi, Telugu.